Buying a Ferrari can be an adventure, and it’s not always easy — but the process can go much more smoothly when you’re working directly with Ferrari’s own financial services provider. Ferrari Financial Services (FFS) exists to facilitate the purchasing process with serious customers who seek to buy or lease a vehicle from the Prancing Horse brand. Not only does Ferrari Financial Services offer a variety of flexible services tailored to individuals, but it does so with an emphasis on fast, efficient delivery. Can You Lease a Ferrari? When you work with Ferrari Financial Services, Ferrari leases are available on a flexible basis, with terms of between 13 and 60 months along with a variety of mileage options. How Do I Access My Ferrari Documentation? FFS enables drivers to pay for their vehicle and their insurance online. Additionally, the full breadth of your Ferrari’s documentation will be available to you online, including the contractual details of your purchase or lease agreement. Can I Finance a Vintage Ferrari? You absolutely can finance the purchase of a vintage Ferrari! FFS offers a program called Ferrari Select that offers a personalized line of credit to serious collectors. This program is available only to Ferrari owners who are willing to use the equity in their personal collection of Ferrari vehicles — these credit lines begin at $500,000, and the maximum credit offered will vary depending on the value of your Ferrari collection. Ferrari Select can be used for more than just the purchase of classic Ferrari models, though — this line of credit may also be used toward business ventures. Similarly, Ferrari Direct is a FFS program that draws on the equity of a single Ferrari vehicle to offer fixed-term loans. This can be a great way to begin building a Ferrari collection, especially given the absence of origination or early termination fees. Many Ferrari models are rare commodities, which is why we serve drivers from St. Louis and Indianapolis even while being based in Chicagoland. 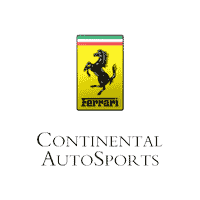 To learn how Ferrari Financial Services can help you expand — or begin — your supercar collection, contact Continental Ferrari today! 0 comment(s) so far on Why Work With Ferrari Financial Services?